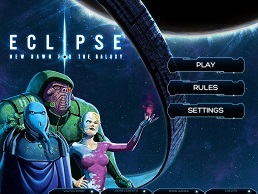 Eclipse: New Dawn for the Galaxy is a digital port of a board game designed by Touko Tahkokallio. The title is a science fiction themed 4X (eXplore, eXpand, eXploit, and eXterminate) strategy game. The original board game has received multiple awards from several sources which are listed on the game's entry on boardgamegeek.com as well as the digital version's iTunes App Store page. As in all of the great 4X space strategy game progeny's of the classic Master of Orion series and the like, your goal is to build a vast galactic empire and conquer the known universe. The players begin the game by selecting one of seven species, each with unique abilities, strengths and weaknesses. Through the nine rounds of the game players gain and utilize the three resources of money, science and materials. Money is used to buy actions and maintain the empire, science is used to research upgrades from the varying tech trees and materials are used to build ships for your fleet. 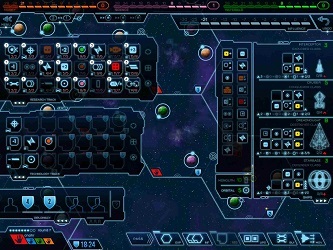 The star systems, technology trees and even the ship designs within the game are all customizable by the players. Through different combinations of diplomacy and brute force, players vie to eclipse one another's cosmic empires to win the game. Eclipse: New Dawn for the Galaxy can be played by up to six players, both human or computer players that feature three selectable difficulty levels of ai. The game can be played online in both synchronous and asynchronous modes, with the former also featuring a live chat function. A typical game plays out in about an hour, depending on the number of players. 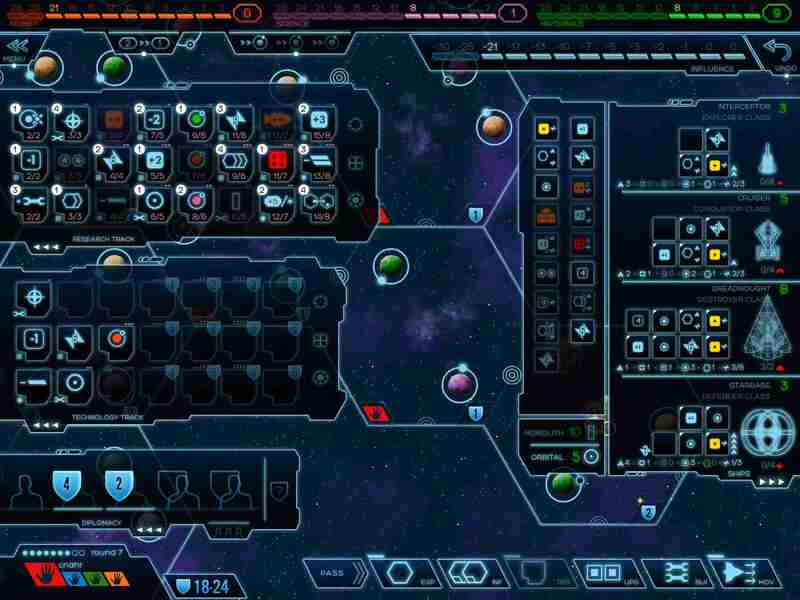 The digital version of Eclipse: New Dawn for the Galaxy features an excellent interface with slide-out drawers for all of the empire management sub-boards from the original game, as well as nice graphics that include unique thematic ship designs for each of the different species. Also included in the digital version is an in-game manual and fully interactive instructional tutorial.